Cold forged Aluminium 6082 T6. All adjuster knobs made of high quality aluminium. Bolted hose guide for judder-free brake hose routing. Adjustment possibilities: Rebound, preload (air pressure). 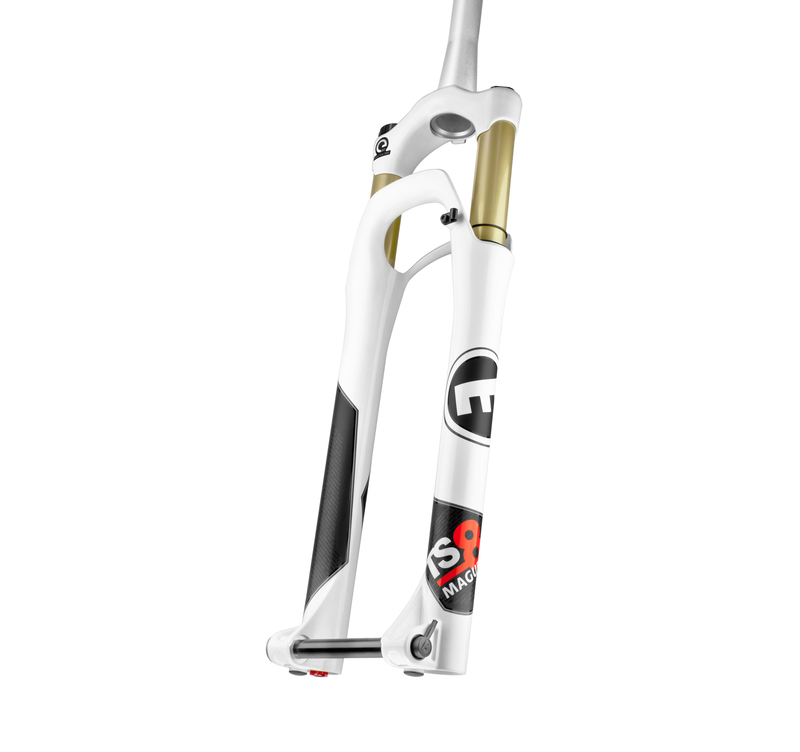 9mm Axle White Tapered 100mm 27.5"